Capabilities - Peer Foods Group, Inc. Peer Foods Group has 150 years of experience in the meat processing business. 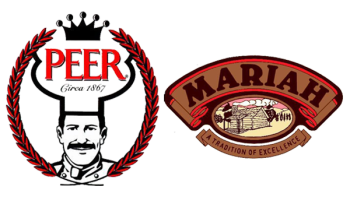 In addition to our Peer, Mariah, and Emge branded products, we also do custom protein processing for retail and food service partners. We have full life cycle capabilities from product ideation through full scale production, and we have the ability to grow with our customers. Our Research and Development team brings a mix of food science, chemistry, meat processing, and food safety experience as they work with our customers to develop high quality products. In addition, when needed, we utilize some of the industry’s leading meat science universities to tap into their expertise. Our production facilities are located in central Indiana, just off of major US interstates I-70 and I-65. To maximize shipping convenience and reduce shipping costs, all products ship out of one distribution location near I-70 in Indianapolis, IN. We are an innovative custom manufacturer that can go from idea conception to product delivery rapidly to meet our food service and retail customer needs. We have experience throughout the product development lifecycle, from product conception to adapting pre-existing recipes or products into our facility. Under contracts, we are also willing to make capital investment, where justified, to fulfill manufacturing requirements. Finally, we have the ability to grow with our customers over time as volume increases.